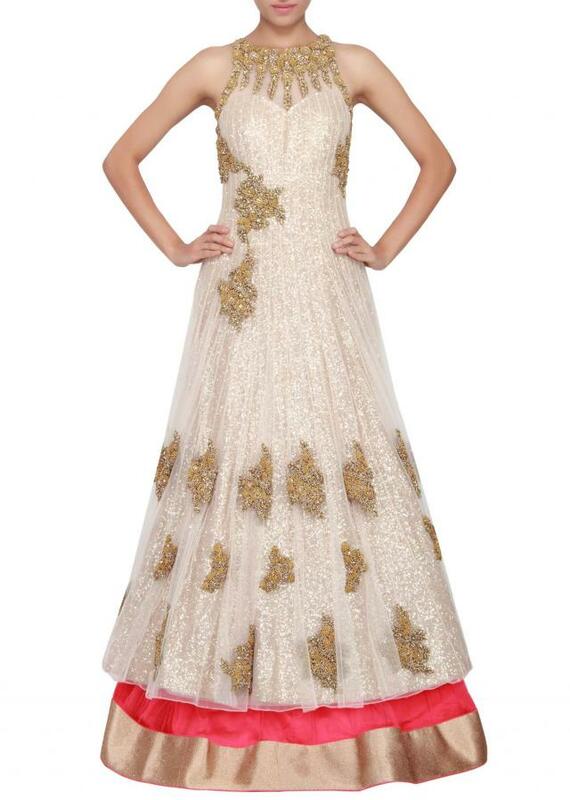 Featuring a pink and cream net jacket lehenga with french knot and kundan embellishment. 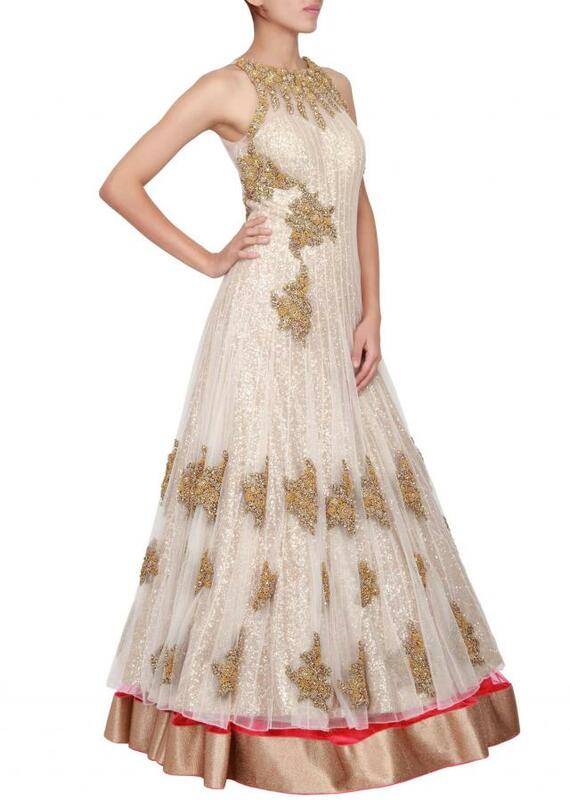 Jacket in cream net with round neckline. 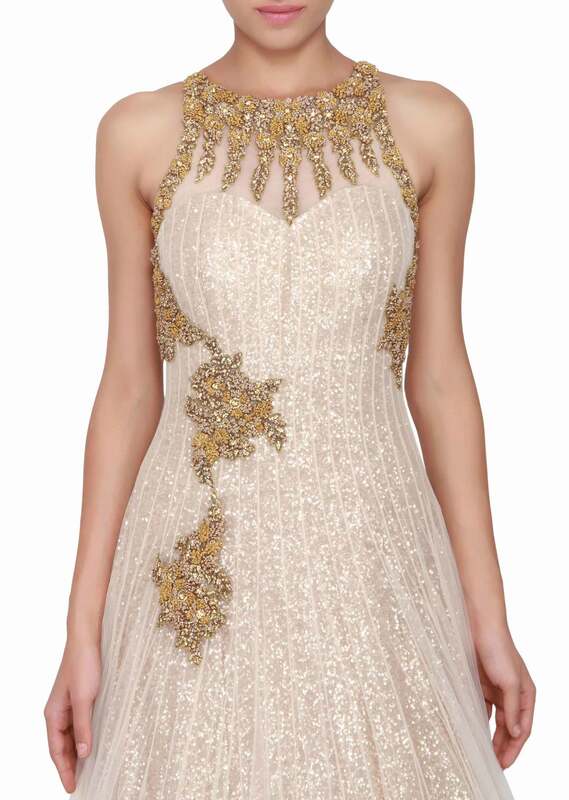 Embellished in french knot and stone all over. 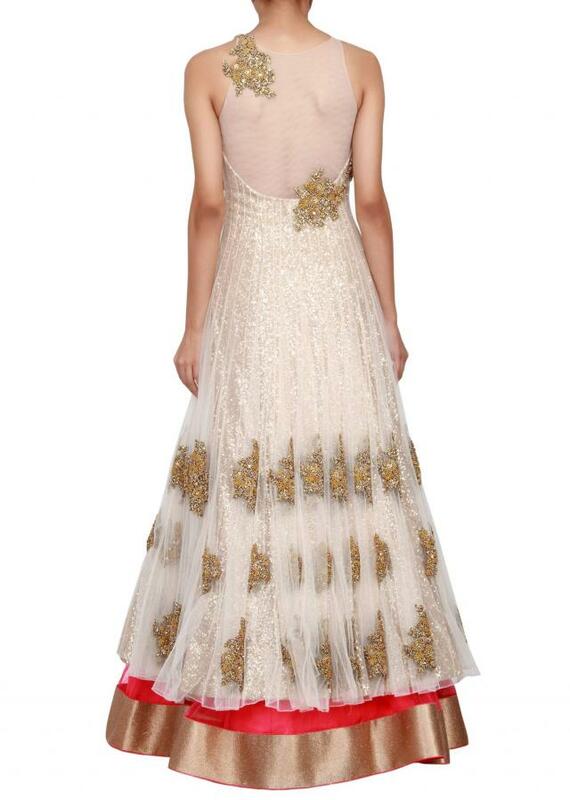 Lehenga skirt in pink net with satin lining and attached can-can skirt.